Permanent teeth are meant to remain permanently inside the mouth. Teeth are made up of a thick outer shell called enamel, and it is the hardest substance found in the human body. However, even with these characteristics, the teeth are not invincible. Trauma and injury occur to many people involved in sports and recreational activities, accidents, and random occurrences. Dental decay also occurs, causing a deep cavity or infection inside the tooth. When any of these occur and damage is done to the pulp (network of blood vessels and nerves) inside the tooth, root canal therapy is needed. Root canal therapy is not painful – infected teeth are painful. Many, many people avoid having a root canal procedure done because they are afraid of how much it will hurt. However, what you need to understand is that it is not the procedure that hurts! An infected tooth is extremely painful because the infection is attacking the roots and nerves of your tooth. If left untreated, the pain will become unbearable and the damage too great to save your tooth. Root canal therapy is done under local anesthesia (or complete sedation if needed). The procedure involves opening the tooth, removing the damaged pulp, cleaning out the infection, treating the tooth with antibiotics, filling the tooth, and then sealing it to protect against further damage. At Gold Hill Dentistry, Dr. Kavi Sagunarthy and Dr. Jennifer Mokris are here to help promote your oral health. 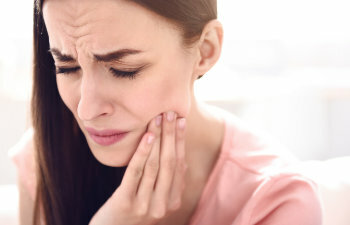 We understand how sensitive an infected tooth is and how painful it can seem to have any work done on it. However, treating an infected tooth is absolutely essential for it to remain inside your mouth. It is also essential to treat an infected tooth as soon as possible so that the infection does not spread to your neighboring teeth and gums. At Gold Hill Dentistry we are committed to providing the most compassionate care throughout all of your needed dental treatment. Please contact us today to schedule an appointment. Your oral health is our top priority, and we are here to provide you with excellent and comfortable care.